We have added a Stoneware Ceramic Coffee Mug (photo below) to our online store. These are stoneware coffee mugs (8 to 10 oz) come in a beige or green ceramic with the 4th Cav crossed sabers in raised relief. These look great. We are selling the mug for $25.00. This price includes the shipping/insurance for most zip codes. This item is breakable and must be insured which accounts for the higher cost. To order this mug go to our 3/4 Cavalry Store. We also have a personalized version (photo below) that includes your name embossed on the mug . 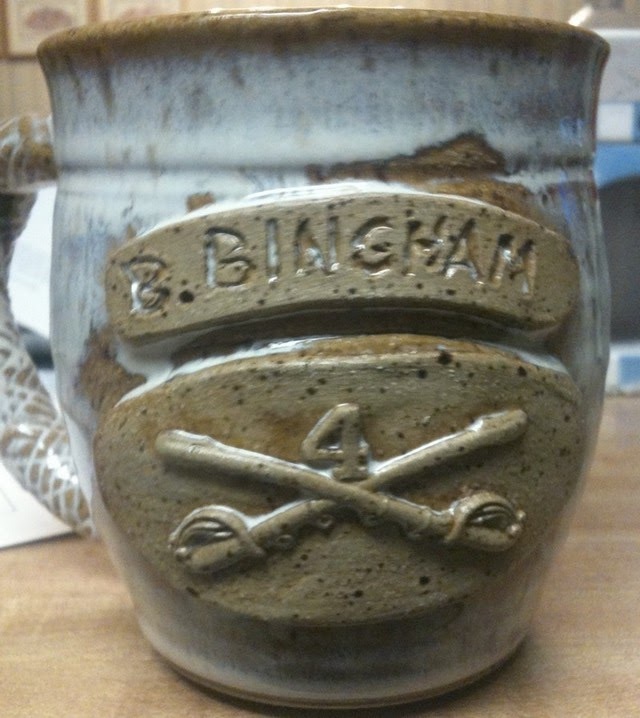 This version costs $30.00 To order the personalized mug go to our 3/4 Cavalry Store. Thank your for your support of the 3/4 Cavalry Chapter. 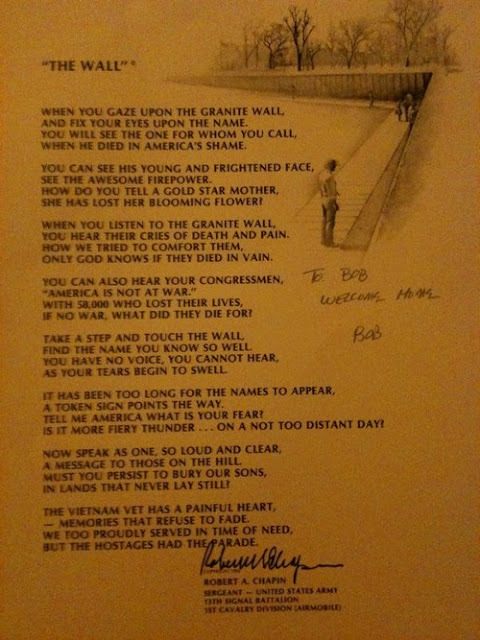 Custom Art Print: "The Wall"
Our print will look similar to the one below and be custom personalized ""In memory of the Fighting Men of Mackenzie's Raiders, Welcome Home. Bob". This is a photo and does not show the actual quality or personalization of the print. Please support the association by the purchase of one of these fine art prints. A second version of the art print is embossed with an image of the Purple Heart. These sold originally for $200. The Purple Heart image is shaded only and not in color. These are not addressed to the Mackenzie's Raiders and are only signed by the artist. We will be selling these for $50. Steve Huff will be handling the orders. He will accept check, money orders, or cash. The poems will be sent back by 1st class mail. If you are ordering from outside the continental United States, email Steve for the shipping costs. Thanks for your support of the Association. 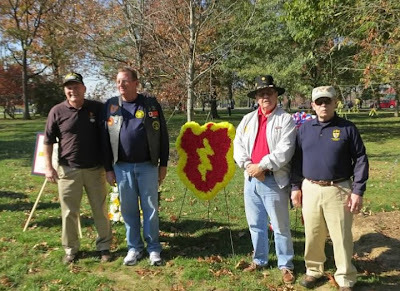 Our Fellow 3/4 Cavalry veterans participate in placing a 25th Infantry Division wreath at the Vietnam Veterans Memorial in Washington D.C. on November 12th, 2012. Thank you troopers for representing the 3/4 Cavalry and all veterans at this event.